Well, the time has finally come! The babies have hit the ground running ! Our mares are bred to SAM, KASPER and DOC. We except monthly payments on our 2008 Foal's. 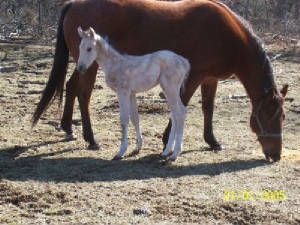 If you are interested in one of our Foals Please fill in the form at the bottom of the page. Thank You ! To watch our 2008 Foal's grow, Please just click on their picture and you can see how they are growing and their pedigree. Thank You ! We are so very proud to welcome our First foal. 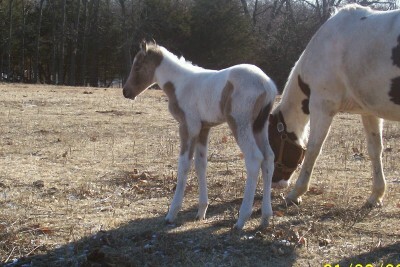 KASPERS SATIN BOLT is a Buckskin Tobiano Filly. Born 1/22/08. Proud parents are BUCKS THUNDERBOLT GO & KASPERS SHOWBUCK. She is the only foal we kept this year. We are so very proud to welcome our Second foal. Sams Wild Chance is a Black Tovero Filly. Born 1/24/08. 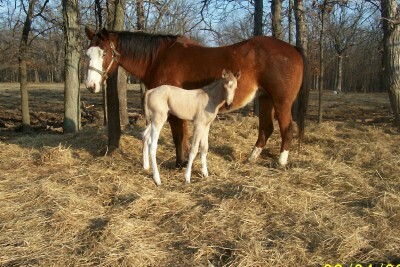 Proud parents are SONNYS ROYAL WILDFIRE & MCCUES MOONLITE SAM. Thank You Crystal ! We are so very proud to welcome our Third foal. 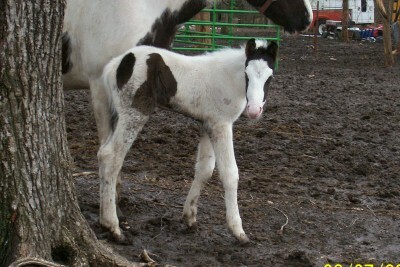 He is a Buckskin Tobiano Colt. Born 2/4/08. Proud parents are CHIEF SWEETY & KASPERS SHOWBUCK. Thank You Linda ! We are so very proud to welcome our Fourth foal. Sams Blue Amigo is a Black Tobiano Colt. Born 2/5/08. 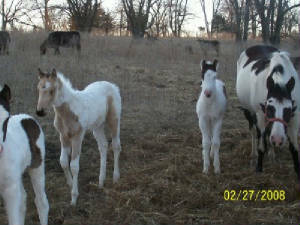 Proud parents are IC MAXS BABY BLUE MCQ & MCCUES MOONLITE SAM. Thank You Ron ! We are so very proud to welcome our Fifth foal. 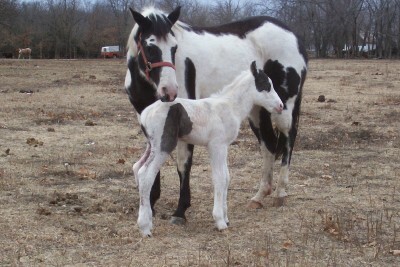 He is a Buckskin Tobiano Colt. Born 2/9/08. Proud parents are TEENAS TWO EYED RED & KASPERS SHOWBUCK. Thank You Crystal ! We are so very proud to welcome our Sixth foal. 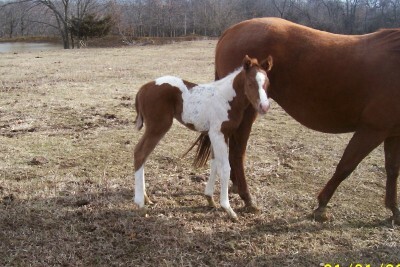 She is a Sorrel Tobiano Filly. Born 2/19/08. Proud parents are SHOT OF PARR & DOCS SUGAR BUBBY RLM. SOLD. Thank You Crystal ! We are so very proud to welcome our Seventh foal. 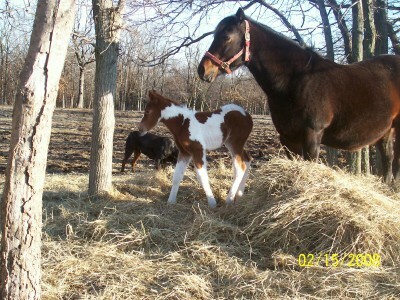 Docs Glamorous Lace is a Sorrel Tobiano Filly. Born 3/3/08. Proud parents are GLAMOROUS GOGO GIRL & DOCS SUGAR BUBBY RLM. Thank You Crystal ! THANK YOU FOR CHECKING OUT OUR SITE. HAVE A NICE DAY !